The Placement Cell for the academic year 2014-2015 is constituted by the Principal, himself as the director and Placement and Career Guidance Coordinators along with other members. The Cell has student representatives from all classes, from among whom a Student Coordinator is elected. The Student Coordinator interacts with the Placement Coordinator for the functioning of the Cell. We ensure that the students are trained according to the requirements of the industry before they appear for the campus placement. We ensure that a student will be provided with maximum Interview exposures till he/she gets placed. We have developed very good relations with the corporate world throughout India and Karnataka which helps the students to have maximum industry & academic exposure. Company Placements begin in the month of October for all the final year students of the college and continue till June. 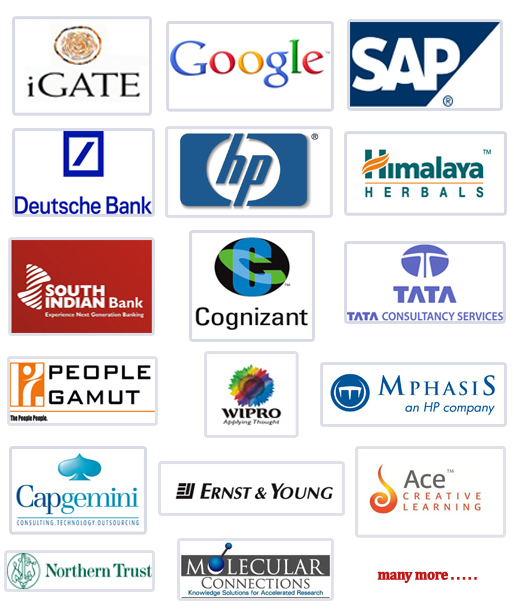 Good number of students are offered placements or selected by the various companies. The placements are either to IT division, HR division, BPO division, Marketing division or Finance Division.